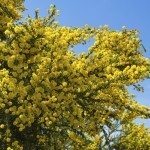 Can you grow acacias in winter? The answer depends on your growing zone and the type of acacia you hope to grow. Although acacia cold tolerance varies widely depending on the species, most types are suitable for warm climates only. If you live in a far northern climate and growing acacias is out of the question, you can always bring your acacia indoors during the winter. The next question may be, do acacias bloom in winter? 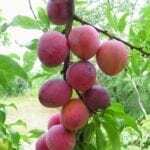 Not in most climates, but you can force branches to bloom indoors in late winter or early spring. Read on to learn more about hardy acacias and cold weather. If you live in a marginal climate that occasionally experiences frosty weather, it’s a good idea to provide acacia winter care to help your plants survive until spring. Plant acacia in a protected location such as near a south-facing wall. Protect the roots with a thick layer of organic mulch such as straw, pine needles, dried leaves or fine bark. Don’t allow the mulch to pile up against the trunk, as wet mulch may promote rot. Never fertilize your acacia after mid-summer. Nitrogen-rich fertilizer is especially risky at this time because it produces lush, tender growth that will likely be nipped by frost. Remove broken or damaged growth in spring. If your climate is prone to hard freezes, plant acacia in a container and bring it indoors when nighttime temperatures drop below 45 F. (7 C.). Can you grow acacias in winter inside your home? Yes, this is another option, provided the tree isn’t too large. Place your potted acacia tree in a sunny window, preferably south-facing. 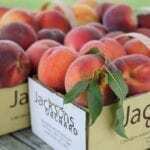 Otherwise, supplement available light with a grow light or fluorescent bulbs. Water acacia deeply when the soil feels slightly dry. Always allow the pot to drain thoroughly. Never allow the plant to become bone dry. If the air in your home is dry, increase humidity by placing the pot of wet gravel or pebbles. Move your acacia back outdoors during spring and summer. 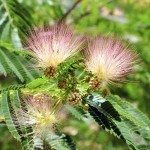 Read more articles about Acacia.